We understand that not everyone likes the molded-booted cables. 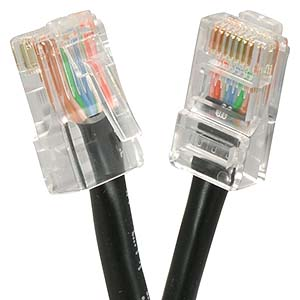 Now we are offering these non-booted CAT5e cables. These are a special order and will ship direct from California to you (or us). If you are local here in Oregon, delibvery takes approximately 3 days. These are standard CM type with a PVC Jacket, 24AWG 4pair stranded pure copper wire with 50 micron gold plated short body RJ45 plugs. RoHS compliant.